October 2018: Postdoctoral Position Available in Scientific Computation and Machine Learning. Funding has become available for a new postdoctoral position concerning research on machine learning methods and related approaches in scientific computation. To apply, please see link here. Some additional information can be found in recent UC Current Article. April 2019: Congratulations to David Rower! David Rower accepted to Massachusetts Institute of Technology (MIT) and selected to be awarded a National Science Foundation (NSF) Graduate Student Fellowship. 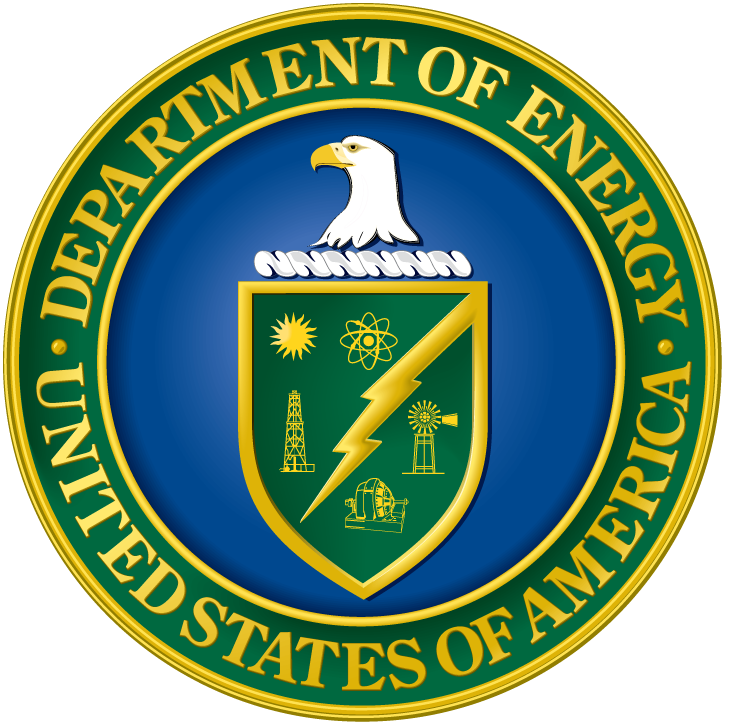 September 2018: Awarded by the US Department of Energy a collaborative grant to found a MMICCs center on Machine Learning and Scientific Computation. The grant will provide support for research at UCSB and collaborative activities with researchers at Sandia National Laboratories (SNL), Pacific Northwestern National Laboratories (PNNL), and Stanford, Brown, and MIT. Additional information: [PDF] [UC Current Article]. 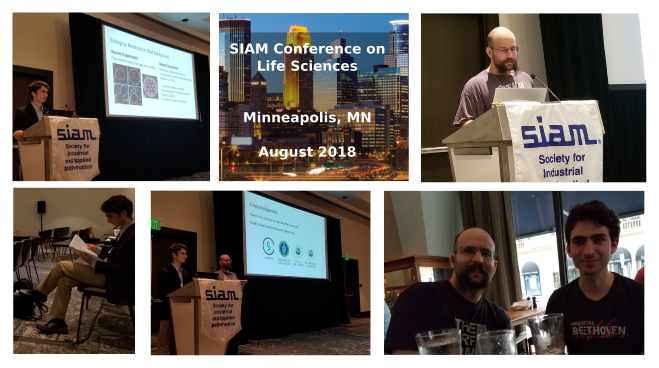 August 2018: David Rower and Ben Gross attending and giving research talks at SIAM Conference in Minneapolis, MN. SIAM Conference on Life Sciences 2018. June 2018: Congratulations Ben Gross! Our recent papers have been accepted to the Journal of Computational Physics and the Journal of Scientific Computing. 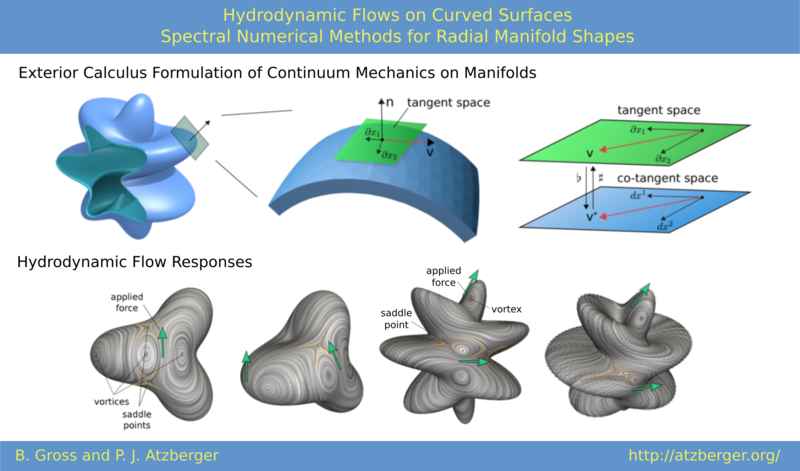 Hydrodynamic Flows on Curved Surfaces: Spectral Numerical Methods for Radial Manifold Shapes , B.J. Gross and P.J. Atzberger, (accepted), J. Comp. Phys., (2018) [preprint] [full paper]. Spectral Numerical Exterior Calculus Methods for Differential Equations on Radial Manifolds , B.J. Gross and P.J. Atzberger, 76, pp 145�165, Journal of Scientific Computing, (2018) [preprint] [full paper]. I will be teaching graduate course Special Topics in Machine Learning, Fall 2018, [link]. 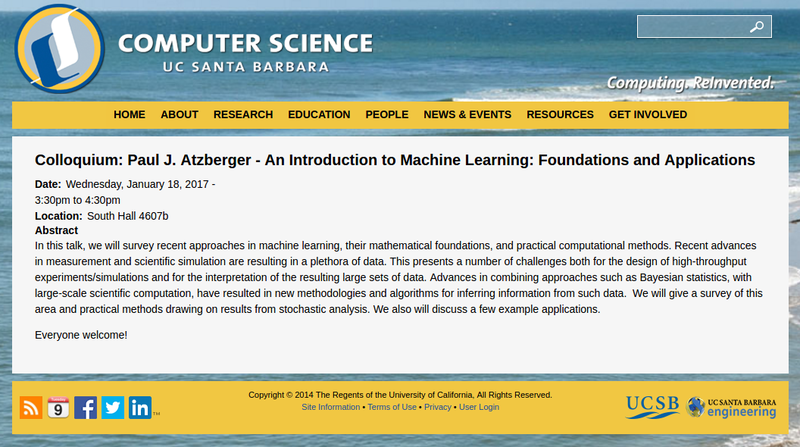 Also, I will be teaching an undergraduate course Introduction to Data Sciences and Machine Learning, Fall 2018, [link]. In the recent past, I also taught Graduate Course on Machine Learning, Fall 2017 [link], and honors course in Winter 2018 [link]. [additional course notes and related materials]. An Introduction to Machine Learning: Foundations and Applications, Paul J. Atzberger. Date/Time/Location: January 18th, 3:30pm - 4:30pm, South Hall, Room 4607b. I will be teaching a Graduate Course on Machine Learning, Fall 2017 [link], and honors seminar in Winter 2018 [link]. The Hidden Role of Mathematics and Computation in Scientific Discovery and Engineering. Public lecture aimed at a general audience as part of the UCSB Seminar Series on Groundbreaking Research / Innovative Technology (GRIT). 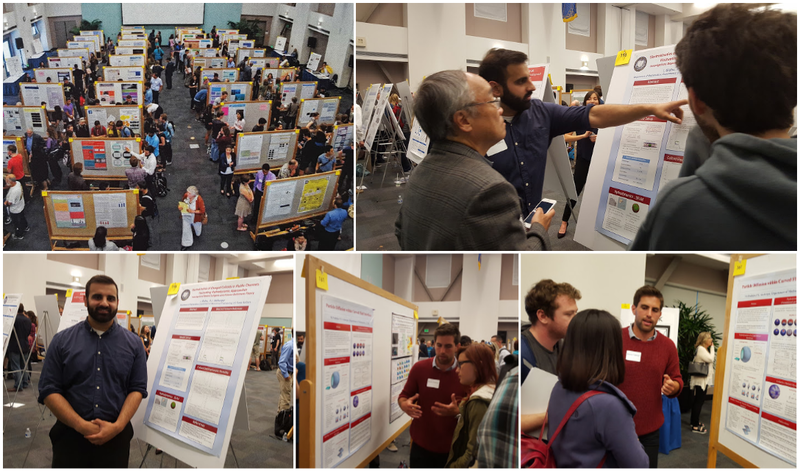 May 2016: Inderbir Sidhu and Misha Padidar present posters on research projects. 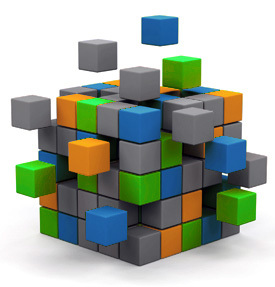 The workshop focuses on mathematical modeling of soft materials and computational methods. We present a tutorial on fluctuating hydrodynamics approaches and our computational package SELM for simulations using the LAMMPS molecular dynamics software. June 2016: Soft Matter Journal highlights on the cover our work on curved fluid interfaces. Hydrodynamic Coupling of Particle Inclusions Embedded in Curved Lipid Bilayer Membranes, J.K. Sigurdsson and P.J. Atzberger, 12, 6685-6707, Soft Matter, The Royal Society of Chemistry, (2016) [paper] . 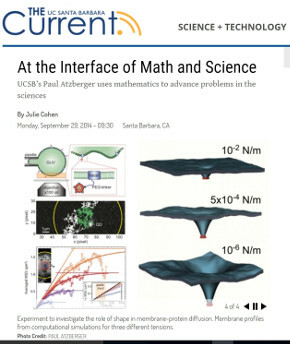 The UCSB Current highlighted some of our recent work: [PDF] [article link]. May 2014: Congratulations to Kai Sikorksi on his new position at Goldman Sachs! 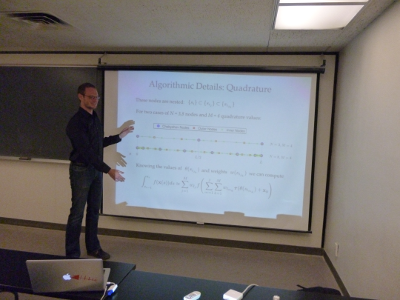 May 2014: Recent expository demonstration we put together for the Poincare Sections of the Duffing Oscillator. 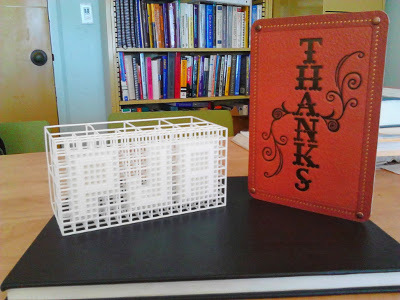 December 2013: Congratulations to Jon Karl Sigurdsson who successfully defended his thesis! September 2013: Congratulations to Pat Plunkett who successfully defended his thesis! 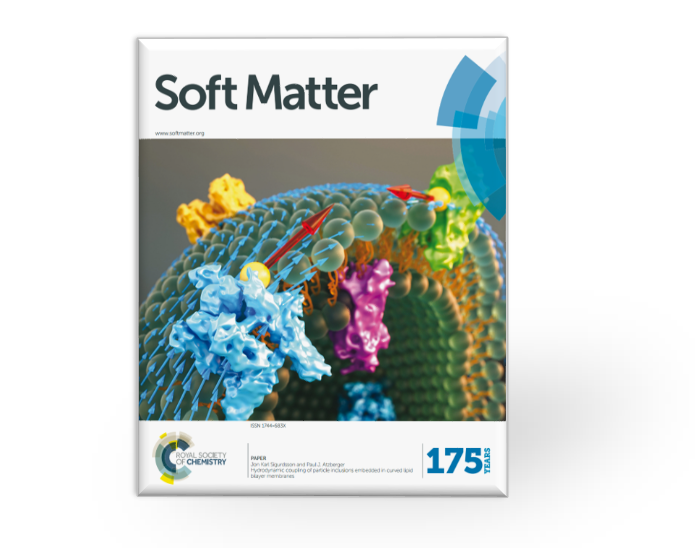 July 2013: Soft Matter Journal has highlighted on the September cover our work on supported lipid bilayers. 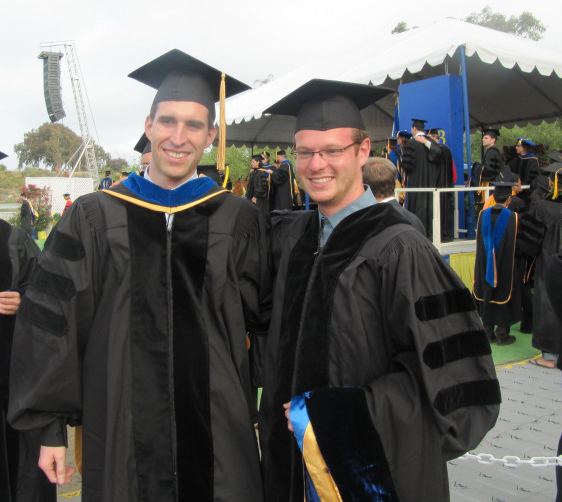 June 2013: Congratulations to Gil Tabak on winning the Undergraduate Wilder Award! June 2013: Gil Tabak gives CCS Commencement Speech. December 2012: Software Package Mango-Selm for fluctuating hydrodynamics thermostats has been released! This is available as part of the Lammps Molecular Dynamics Software (Sandia, DOE). The package allows for dynamic simulations of implicit-solvent coarse-grained models using SELM thermostats. [more information]. December 2012: Awarded from US Department of Energy a collaborative grant to found a MMICCs center on Computational Methods for Soft Materials (CM4). The grant will provide support for research at UCSB and collaborative activities with researchers at Sandia National Laboratories (SNL), Pacific Northwestern National Laboratories (PNNL), and Stanford, Brown, Penn State, and MIT. Additional information: [CM4 MMICCs Center]. July 2012: David Valdman successfully defends his thesis! June 2011: Daniel Kerr gives CCS Commencement Speech.